I am really excited to be sharing some cards I made for the up coming launch from Tattered Lace. 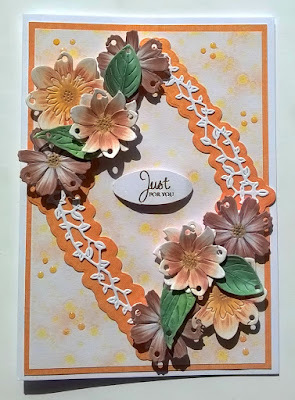 Engaging Elements is launching on Create and Craft TV Thursday evening at 7pm. 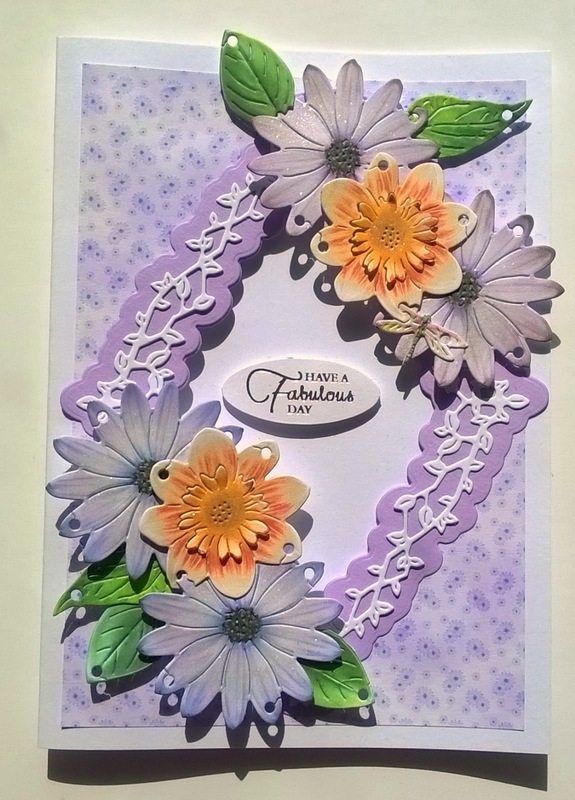 I had the pleasure of working with several of the dies and CD Rom and am happy to share my cards with you. 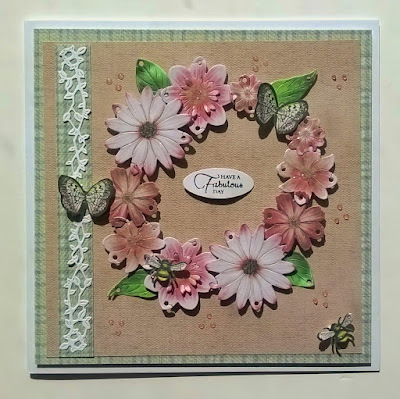 I made a wreath from the floral elements and added some Bees and Butterflies. I used elements of the diamond frame to create the border. I used the diamond frame set and the floral elements to create this cute card. 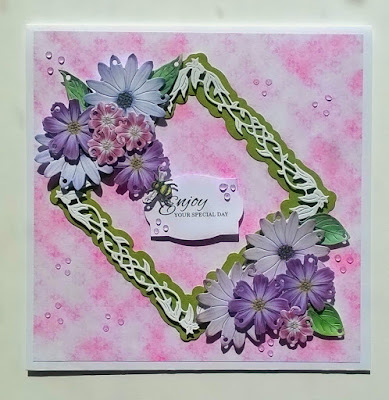 Similar to the card above I used the diamond frame set and the floral elements but this time I used the smaller diamond to create an aperture. 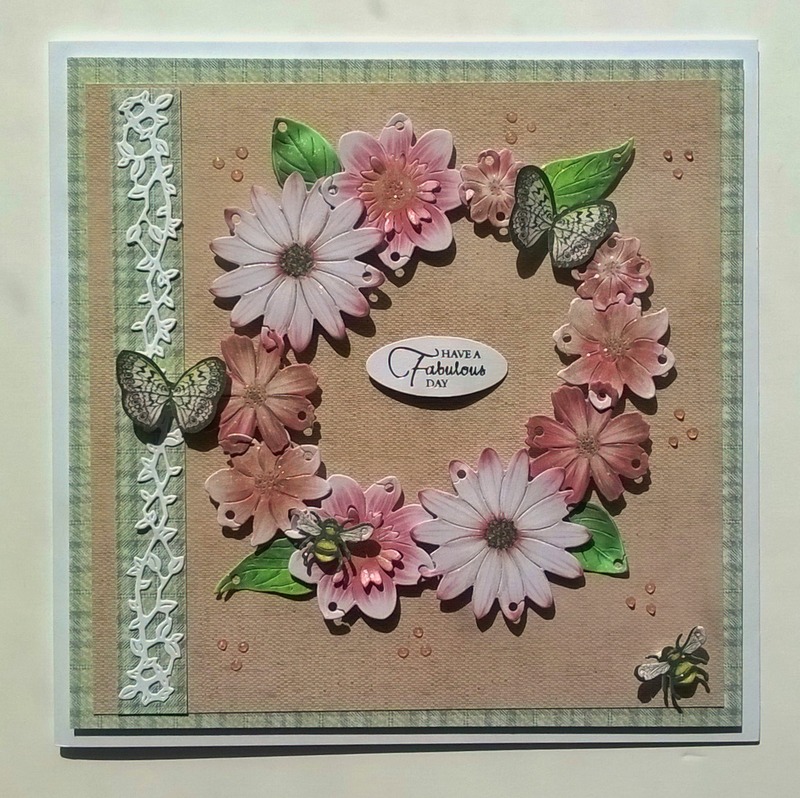 This time I used the square frame set along with the floral elements and a little Bee. 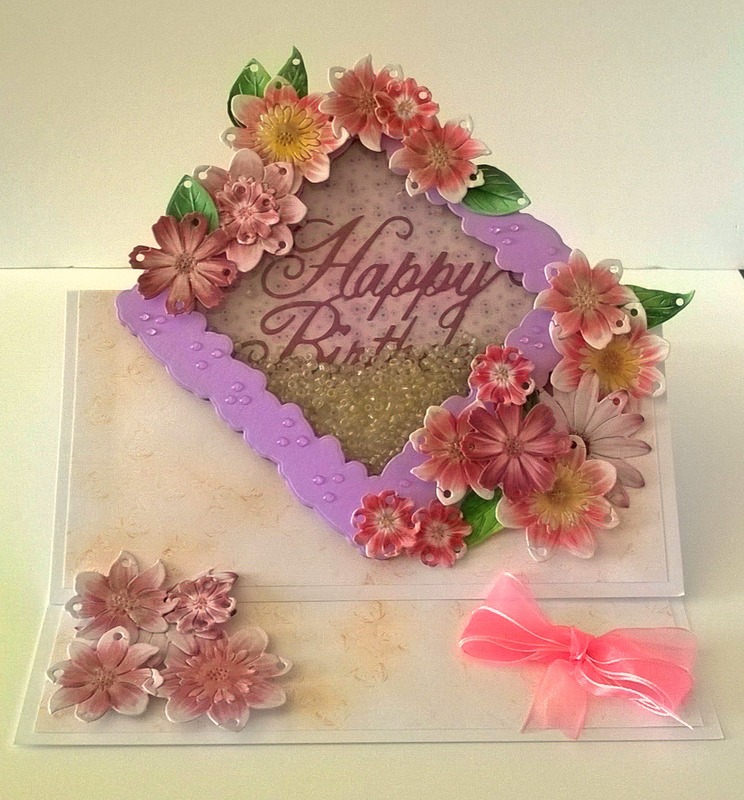 Apple TV Amazon Fire and online at Create and Craft TV.